A panel of senior supervisory board members at Volkswagen said a loss of trust was to blame for Piech's sudden departure on Saturday. FRANKFURT -- Ferdinand Piech, a towering figure at Volkswagen for more than two decades, resigned as chairman of the company on Saturday after losing a showdown with Chief Executive Martin Winterkorn. Piech, the 78-year-old grandson of the inventor of the Volkswagen Beetle, had previously succeeded in ousting other executives who crossed him, including his hand-picked successor as Volkswagen CEO, Bernd Pischetsrieder. But this time, he was unexpectedly isolated in a five-to-one vote of Volkswagen's steering committee last week as labor representatives, the state of Lower Saxony and even his own cousin Wolfgang Porsche stood firmly behind Winterkorn. "Against this background, Professor Doctor Ferdinand K. Piech resigned from his office as chairman as well as all his supervisory board mandates within the Volkswagen group with immediate effect," the statement said. "The uncertainty had to be ended today," said Deputy Chairman Berthold Huber, the senior trade unionist who will take over until a new chairman is elected. "The steering committee was and is conscious of its responsibility to Volkswagen and its many thousand staff." 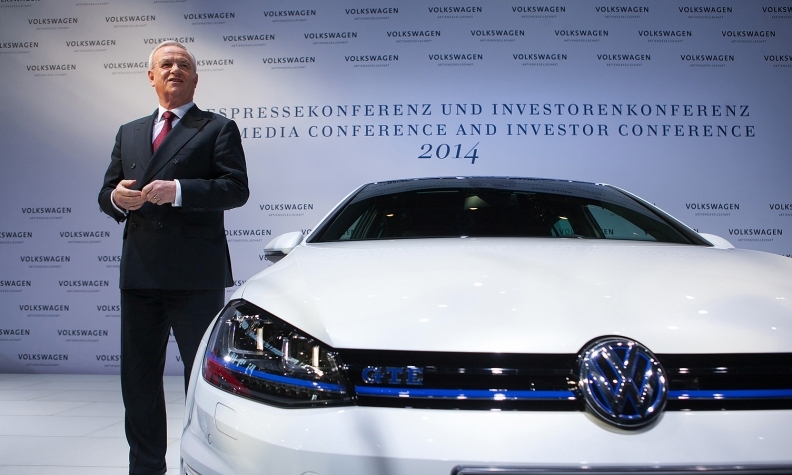 Piech’s term as chairman of VW’s supervisory board was due to expire in April 2017. Two sources with knowledge of the matter said Piech had resigned without forcing a vote of the committee at its second crisis gathering in 10 days. 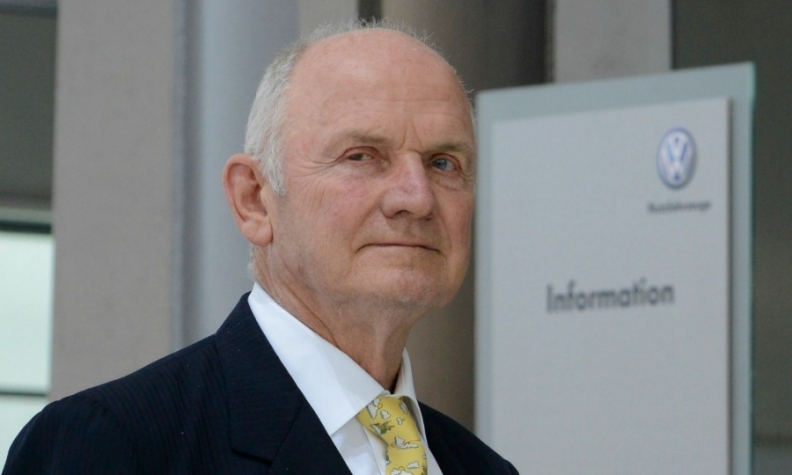 Piech's second wife, Ursula, a former nanny who joined the supervisory board in 2012, also resigned. "Piech's departure represents a seismic shift in Volkswagen's power structure, and could foretell drastic changes in how one of the world's largest automakers operates," wrote Karl Brauer, senior analyst at analysis firm Kelley Blue Book. "VW has kept pace with General Motors and Toyota's growth in recent years, making it a very tight three-way race for the title of largest global automaker, but VW's struggles in markets like the U.S. and Brazil, along with lower profit margins versus GM and Toyota, shows there's still much work to be done." Volkswagen's biggest shareholder, Porsche SE, backed the carmaker's management after Piech's resignation. "We have complete faith in the management of Volkswagen and regret the developments of recent days," Porsche SE Chairman Wolfgang Porsche said in a statement. He added that Porsche SE, which controls 51 percent of Volkswagen's common stock, would continue to live up to its responsibility as a major shareholder of the carmaker. The leadership crisis burst into the open this month when the news weekly Der Spiegel quoted Piech, the patriarch of the family that owns 51 percent of voting rights in VW, as saying he had "distanced" himself from CEO Winterkorn. The comment came at a time when VW is slashing costs and revamping operations to boost profitability. It has struggled in the United States and posted lower profits at its core auto division. The supervjsory board’s leadership committee backed Winterkorn on April 17, saying he’s the “best possible” head of the company. Winterkorn, 67, who has led Volkswagen to record profits and put it within grasp of overtaking Toyota Motor Corp. as the world’s biggest carmaker, appeared at a meeting of the steering committee in Piech’s hometown of Salzburg, Austria, on April 16 to fight for his job. The six-member body proposed extending Winterkorn’s contract beyond 2016. The group usually prepares the meetings of VW's 20-person supervisory board, which is comprised of voting-shareholder and labor representatives and has the power to hire and fire executives, in addition to making other major corporate decisions. A decision on Winterkorn's term as CEO isn't likely before early 2016. In Germany, top executives' contracts are generally only extended in their final year. The full board is scheduled to convene in a regular session the day before Volkswagen’s annual shareholders meeting on May 5. Any ruling on Winterkorn’s term isn’t likely before early 2016. In Germany, top executives’ contracts are generally only extended in their final year. But last week's agreement to back Winterkorn included a commitment to discuss an extension. Piech's departure increases the chances of Winterkorn succeeding him as chairman -- something that Piech wanted to prevent at all costs, Volkswagen insiders believe. That would leave the way open for Porsche CEO and VW management board member Matthias Mueller, already seen as a favorite to succeed Winterkorn, to take over. "What changes will we see to fill the void left by Piech? Do we have Winterkorn stepping up to chairman and Matthias Mueller as CEO? That could happen," said analyst Stuart Pearson of Exane BNP Paribas. But Piech's influence may still make itself felt through the 51-percent voting rights the Piech-Porsche clan owns in Volkswagen, now represented on the supervisory board by Wolfgang Porsche, if family ties withstand the recent turmoil. While he may have failed to unseat the CEO, Piech's departure is unlikely to end the increased scrutiny the public duel has drawn to the group's strategic shortcomings. Volkswagen's management may still have to address the criticisms Piech raised, which include the failure to engineer a low-cost car. During his nine-year tenure, he turned a loss equivalent to 1 billion euros ($1.09 billion) into a 2.6 billion euro profit while spearheading VW's expansion to a 12-brand holding group that makes everything from fuel-efficient city cars to 40-ton trucks. Exane BNP Paribas' Pearson said Piech's abrupt resignation would come as a shock to investors despite the recent drama. "Those seeing the glass half full may view this as an opportunity to improve corporate governance at VW," he said. "However, first VW will need to demonstrate that its operating performance is on track and not the cause of Piech and Winterkorn's discord." In addition to Piech, the leadership committee has been made up of Stephan Weil, prime minister of the German state of Lower Saxony; works council chief Bernd Osterloh and his deputy, Stephan Wolf; Huber, representing the IG Metall union; and Wolfgang Porsche, a representative of the other shareholder family. A survey by the advisory firm Evercore ISI shortly after the crisis broke out found that 65 percent of institutional investors would welcome a change of CEO and 80 percent were in favor of a new chairman. Weil, the premier of Lower Saxony, which owns 20 percent of VW, said Piech's resignation was necessary to create clarity about the carmaker's leadership. Said Weil: "I regret the resignation of Ferdinand Piech, but it was unavoidable in the end."